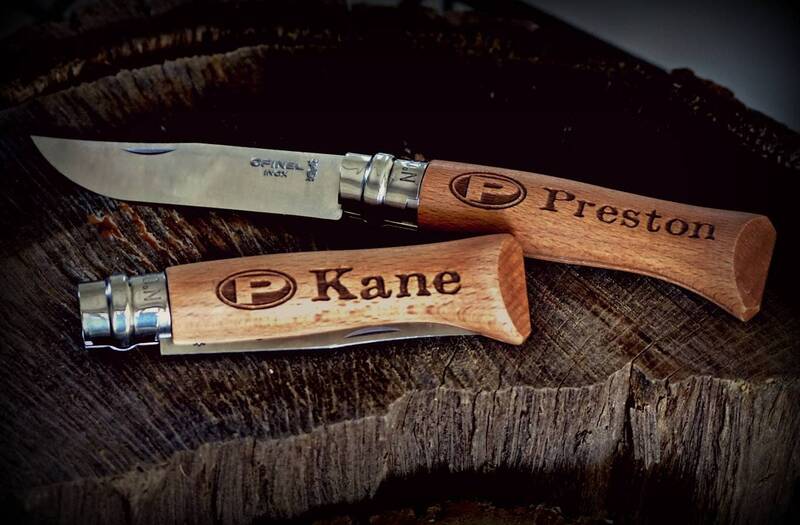 Opinel folding knife, engraved with your custom personalization. Rotating steel collar for locking the blade in place. Very sharp, carbon steel blade that holds an excellent edge.